Problems with his vision as a boy allowed Paul Konyha III, a 1996 Louisiana Tech graduate in mechanical engineering, to see that his wish of one day becoming an astronaut was not an option. But he didn’t allow that to take his eyes of his goal to “stay in the space game,” said Konyha, who last week was one of six men and women selected by NASA to join the elite corps of flight directors who will lead mission control for a variety of new operations at the agency’s Johnson Space Center in Houston. Dating to NASA’s first flight director in 1958, the 2018 class brings the total number of flight directors the agency has had to only 97. And Konyha, a testament to perseverance and passion as the oldest of the newest class of flight directors at age 45, is one of them. “Mechanical engineering was more in line with my aerospace interests,” Konyha said. “Electrical engineering is more abstract; mechanical engineering is more tangible, something I could get my hands on. He didn’t just learn what to study but “how to study properly,” at Tech, he said. And that’s what he did when he left Tech in 1996: he kept going. 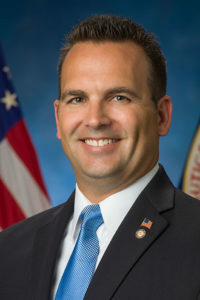 Konyha served in the United States Air Force from 1996 until 2016, when he retired as a lieutenant colonel after holding a number of operations, engineering, and leadership positions for multiple space systems. Since then, he has led the design, test, operations, and disposal of all Department of Defense (DOD) payloads on crewed spacecraft for the DOD’s Space Test Program office at Johnson Space Center. Along the way he earned a master’s degree in military operational art and science from Air Univeristy, and a master of science degree in astronautical engineering from the University of Southern California. He encourages students who might want to do the same to begin in the STEM field—science, technology, engineering, and mathematics. Konyha is a great example that if you do that and love the chase, then even the sky’s not the limit.